KEY TECHNOLOGY: The wide sole helps shift the CG low and back for higher shots. Head of its class—for guys who want a high, soft flight that holds the green; straight shots or slight draws are the norm, even for guys who lose it to the right with their own sticks; easily launches balls from the rough and other trouble spots. Responds well to easy swings; high launch gives slower swingers a nice boost in carry distance, especially with the longer irons; hits the target consistently when you're on your game and can carry the trouble when you're not. The head size turns off a few testers; some wish for a softer feel on solid shots and greater feedback on misses; stronger swingers have trouble keeping the flight down, and those with active hands can struggle with the offset. A carryover model, the GMax is the top performer in this year's max game-improvement test. 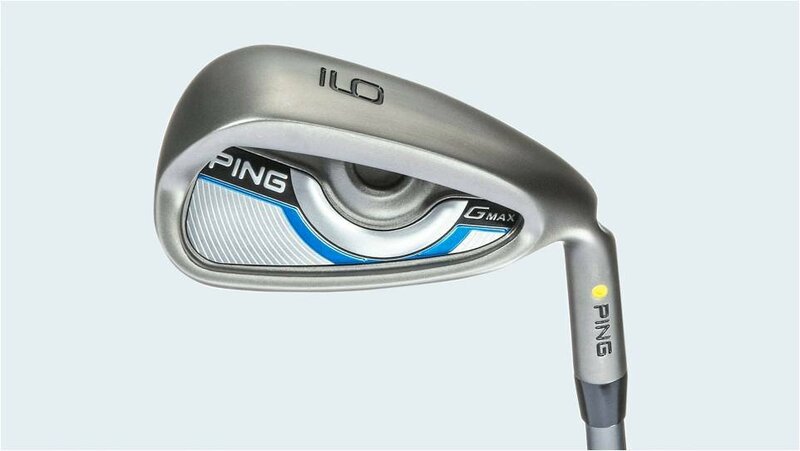 Low,Mid and Higher-handicappers looking for an easy-launching iron loaded with forgiveness would do well to give these a try.